The M20 and M32 Manual 6-speed gearboxes are extremely common failures and are fitted to a variety of vehicles including Vauxhalls, Alfa Romeo’s and Fiats. 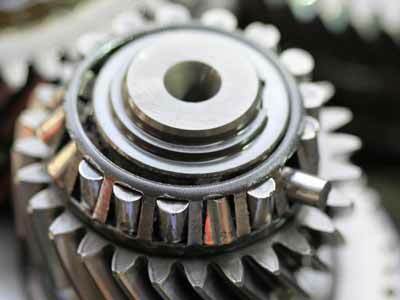 The most common problem is worn and noisy bearings which cause the gearbox to whine in certain gears. The noisy bearing may be more audible in some gears then others. A noisy gearbox when treated quickly is not that bad a problem, we can generally re-bearing the box and have you back on the road in no time – but if you ignore a noisy bearing it can very quickly become a big problem. Although we’ve repaired hundreds of these gearboxes now, there’s many people that are not aware of Gearbox Repairs and will either pay out a lot for a brand new gearbox (which will come with a limited 12 months warranty) or pick up a cheap second-hand used gearbox (which will come with a limited 30-90 days warranty). We offer a fast, efficient and affordable gearbox repair service. If your gearbox is noisy due to bearing wear and the bearing hasn’t yet completely failed i.e. collapsed and caused further damage then the repairs can be even cheaper than a second-hand part. We use new genuine OEM components when rebuilding gearboxes to ensure that each and every rebuilt gearbox meets & exceeds OE specifications. All of our reconditioned gearboxes come with a 2 year unlimited mileage warranty and free fittings at our Gearbox Service Centre. For more information, call us on 0844 847 9999. Tags : M20 / M32 Bearing Failure, M32 Gearbox Noisy, M32 Gearbox Repairs. We’ve sent you an email with pricing and further information regarding the gearbox rebuild on your Vauxhall Zafira. Similar to dan Fiat bravo 2010 1.4t Jet noticed noise in 1st gear when Accelerating and there is movement in 1st/5th gearstick.. 49k on clock not something i expected to happen ! ideas on repair bill ? 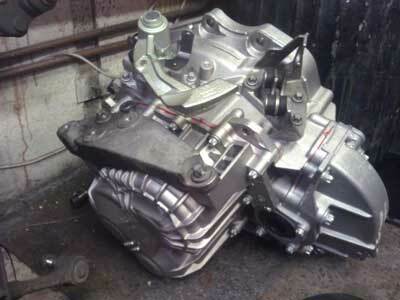 I have sent you an email with full information and pricing for the rebuild of your 2010 Fiat Bravo gearbox. We’ve sent over an email now with further pricing and information for the repair of this gearbox. We have sent over an email now with pricing and further information regarding the repair of your M32 Gearbox rebuild. Please do not hesitate to reply if we can be of further assistance. I have movement in first and fifth with my astra VXR, however no whining noise. how much would it likely cost to have this repaired? I have movement in 1st gear and also slight play in 5th and 6th . Can yoh quote me for overhaul on repair/replace ? We have just sent you an email now with full information and pricing. We can definitely get this sorted for you. We’ve just sent over an email now with full information and pricing. We can definitely help with the problems you have described. I’ve sent you an email with full information and pricing. If you have any questions, please reply to the email and we’ll be happy to assist you.